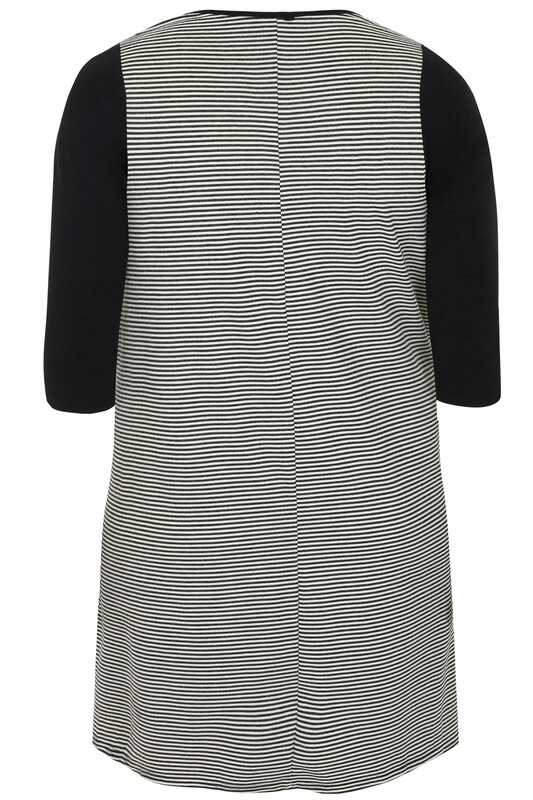 This pretty mock pinafore style dress is perfect for those off-duty days. Simple and stylish, its relaxed design features 3/4 length sleeves, a scooped neckline and two front pockets. Team with tights and ankle boots for an ever-so-chic look. 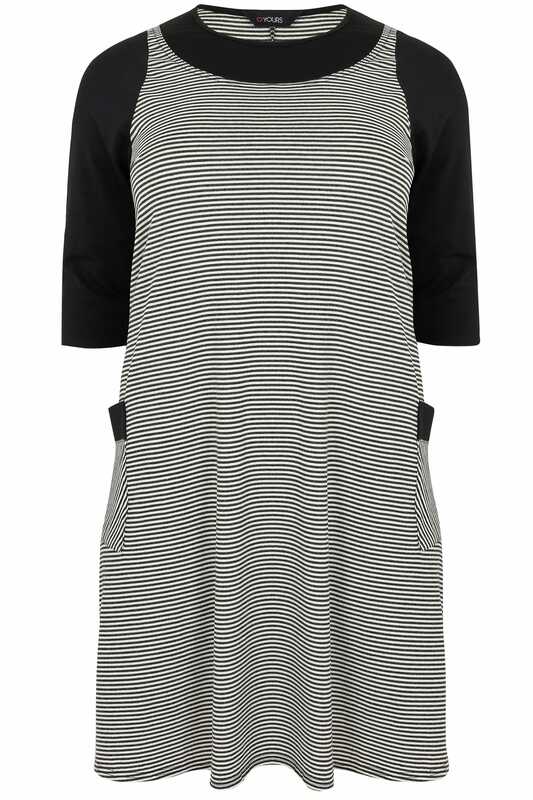 Loving its always stylish striped print, its a must-have piece!